Whenever I encounter patients with eye problems I always feel like I should have the answers . 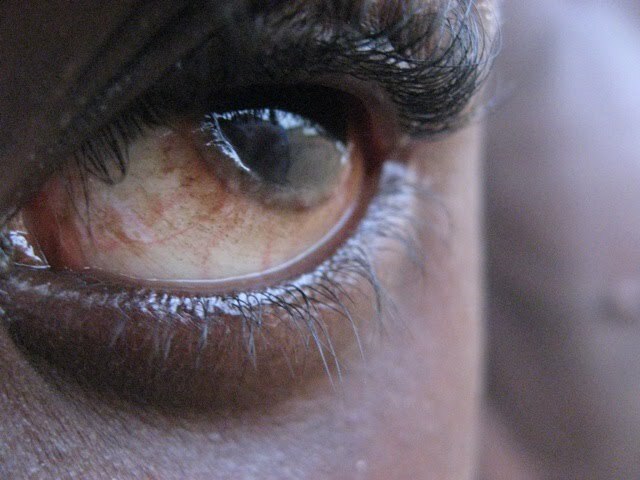 . . after all my father is an Ophthalmologist. But of course . . . I don’t have all the answers so I take pictures and ask my Dad to render his opinion and diagnosis from a far. Although he has been helpful – it’s often difficult to diagnose some eye problems without a proper “in person” examine. 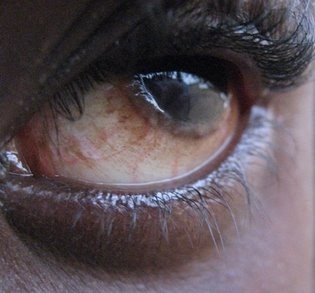 One of our Liberian neighbors, Richard, has suffered from itchy, inflamed eyes for over a year. My Dad sent me a whole page of questions to ask after seeing pictures of his eyes. He suspected that allergies were causing the irritation and told me what drops to give . . . but of course my home pharmacy isn’t that extensive. Thankfully a visiting Ophthalmologist from New Zealand, Dr. Neil, offered to examine Richard’s eyes. Yesterday we drove him and his father to Cooper Eye Clinic where Dr. Neil examined him. He agreed that he was having severe allergies and prescribed some eye drops that should help. We are hopeful that this time Richard may get some relief. But unfortunately, the dusty climate in which he lives will never offer him the relief that he probably needs. Mary was a former Maxillo-facial patient from the ship that Musu has taken in as a daughter. 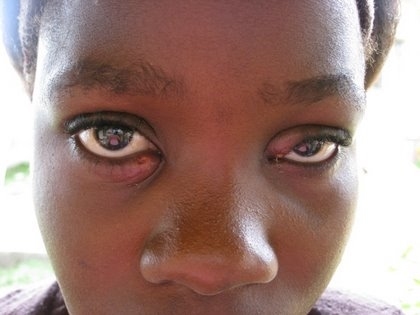 Last Saturday, she arrived with swollen eyelids that were oozing pus. I had been asked to share at a Child Evangelism Seminar and was unable to accompany Mary to the clinic. Thankfully Moses took here and they were able to give antibiotics and eye drops that cleared up the problem. But once again I found myself wishing for the presence of Dad, the eye doctor.